Chill Watermelon and Tomatoes in the refrigerator several hours ahead. 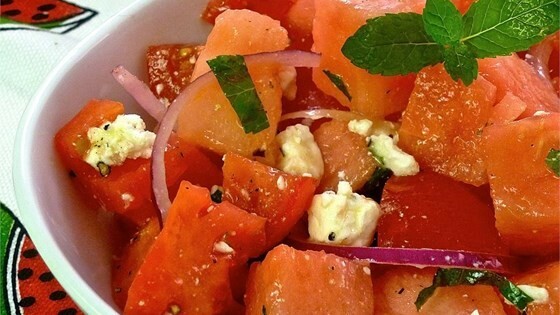 Gently mix watermelon, tomatoes, mint, onion, and feta cheese in a large bowl. Whisk olive oil, vinegar, salt, and pepper together in small bowl; drizzle over salad and gently toss to coat.